Pietermaritzburg-based Bezhuidenhout was twice shortlisted — in April 2014 and October last year — for interviews before the Judicial Service Commission for vacancies on the KwaZulu-Natal (KZN) Bench. He has spent 32 years at the KZN Bar, and was conferred silk in 2009. Bezhuidenhout started his career as a prosecutor and was promoted to deputy director of legal services in the justice department, where he dealt with civil claims against it. Bezhuidenhout reiterated his tireless work ethic when asked what he would bring to the KwaZulu-Natal Bench. “I can take on a greater workload,” he said, pointing out that one way to address the backlog in the courts was, for judges, when free, “to take work from someone else – which I have done”. He said that while his melamine-count didn’t contribute to the transformation numbers game in KZN, he would assist with reform from within the Bench by using his experience to help acting female and black judges coming through. Asked by KwaZulu-Natal premier Senzo Mchunu to assess the accessibility of justice for the majority of residents in the province who were poor and lived in rural areas, Bezhuidenhout noted that “accessibility is difficult” and that approaching the courts was “a costly exercise for a lot of people”. He noted that Legal Aid and the pro bono system had helped in this regard. 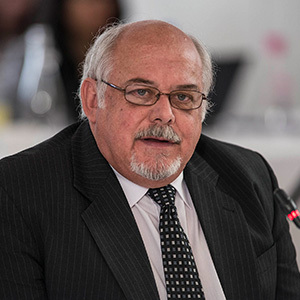 Asked by commissioner Mike Hellens SC if working at a smaller Bar, in Pietermaritzburg, had broadened the range of cases he had dealt with, Bezhuidenhout agreed. He had acted for a total of 56 weeks on the KZN Bench.